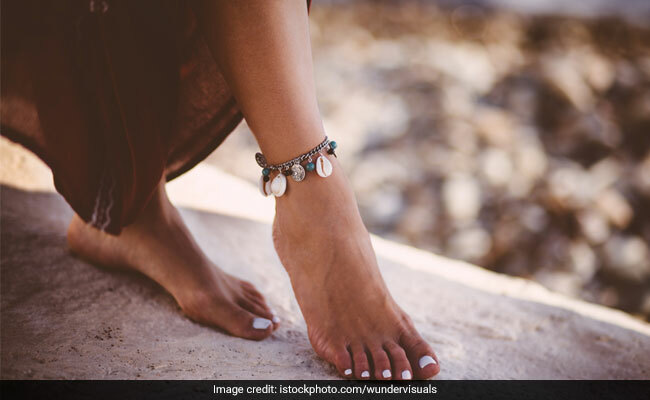 Have a soft corner for anklets? 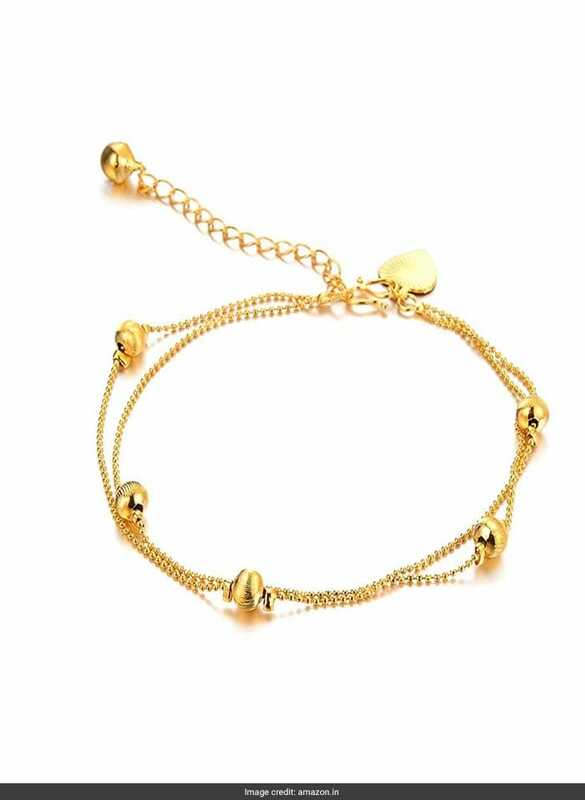 Then don’t miss this minimalist yet chic pair of anklets from Nevi. It features a gold toned look with metallic embellishments. You can buy this pair for a discounted price of Rs 565. Shop here. Dress up from head to toe to steal the show at your friend’s wedding. 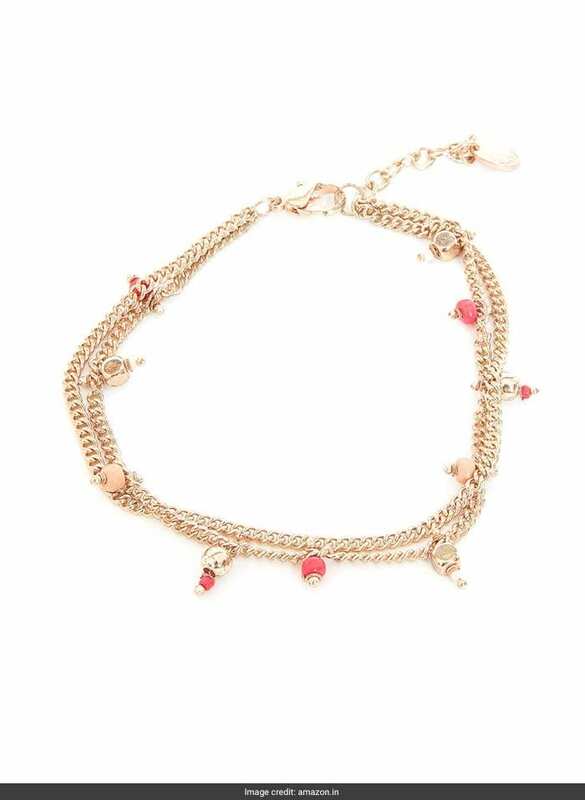 This pretty pair of anklets will help you do just that. It features a traditional look that is sure to stand out. You can buy this pair for a discounted price of Rs 465. Shop here. Like understated designs? Don’t forget to get your hands on these silver toned anklets that will up your casual style game. You can buy this pair for a discounted price of Rs 249. Shop here. 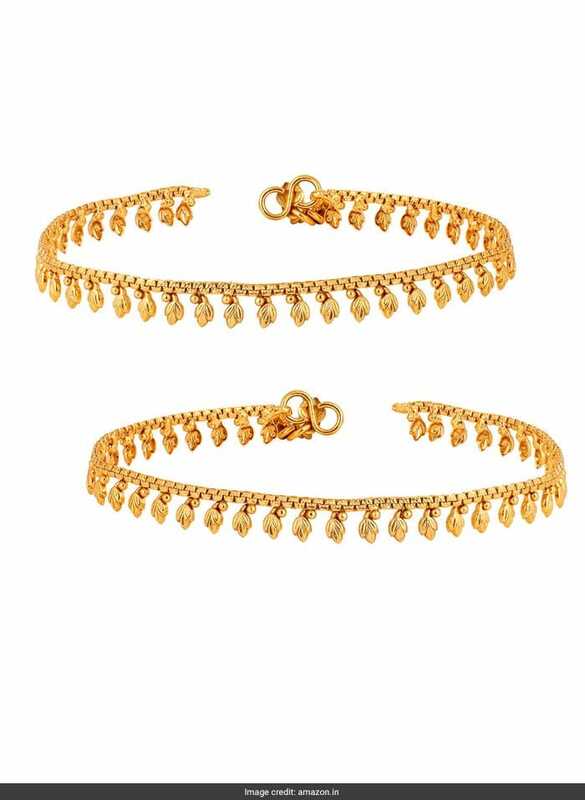 Add some sparkle to your everyday looks by stocking up your jewellery collection with these trendy anklets. Wear it along with dresses or denim and stay stylish. You can buy this pair for a discounted price of Rs 430. Shop here. 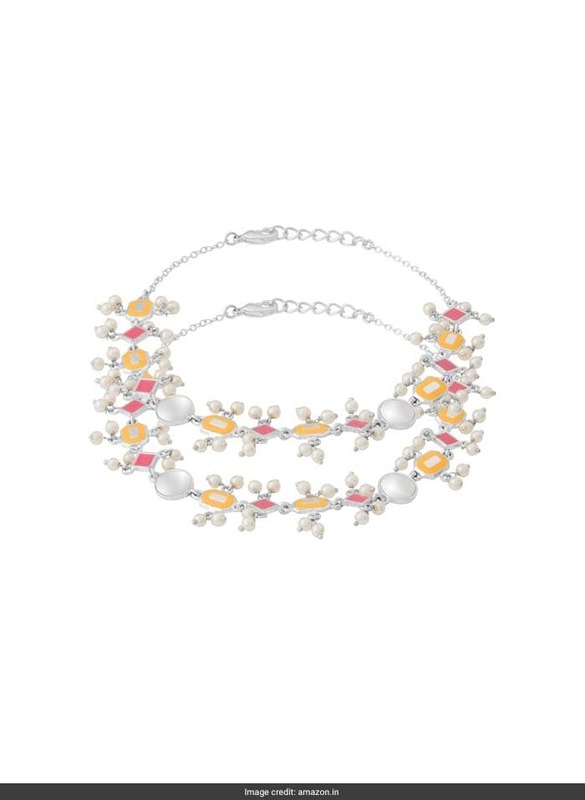 Accessorise right by adorning your feet with these beaded anklets from Chumbak. 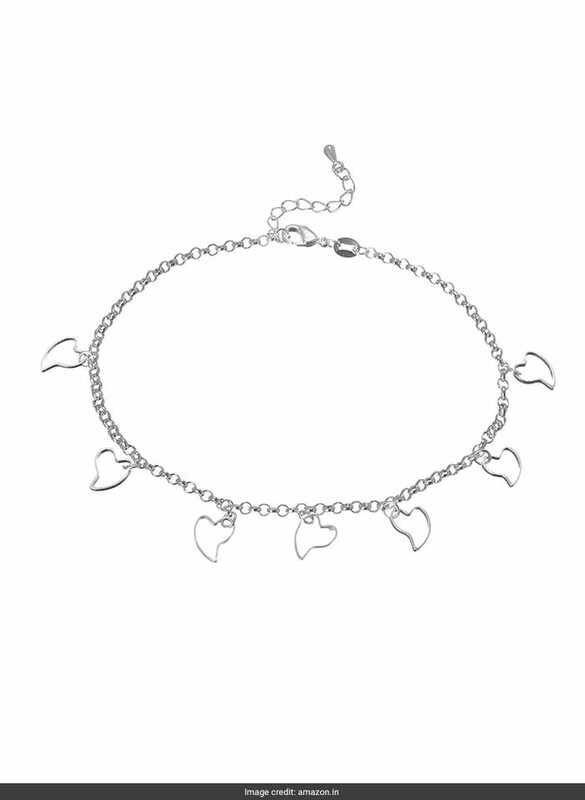 Made from iron and glass, these anklets are sure to attract all the attention it deserves. You can buy this pair for a discounted price of Rs 295. Shop here.